Lacey’s has been a fixture in the Acworth, Georgia community for nearly 125 years. It is the oldest continually operating pharmacy in Cobb County and one of the oldest in the state of Georgia. Acworth, Georgia was still in the process of recovering after the Civil War. Albert J. Durham founded the Durham Brothers Drugstore in 1895. Two years later, his brother Claudius G. Durham, purchased fifty percent interest in the store. Both men were well liked and leaders in the community. The drugstore became the meeting place for everyone in town. One of the main reasons folks gathered at the drug store was the soda fountain. During Prohibition soda fountain sales skyrocketed and quickly became the “in” thing to do for teenagers and adults alike. A favorite past time was people watching at the rail depot just across the street from the drugstore. In 1915 the Durham Brothers Drugstore became a “Rexall” brand Drugstore. Rexall stores were originally independent stores that agreed to purchase a minimum of Rexall products in exchange for discounts, advertising advantages and signage. 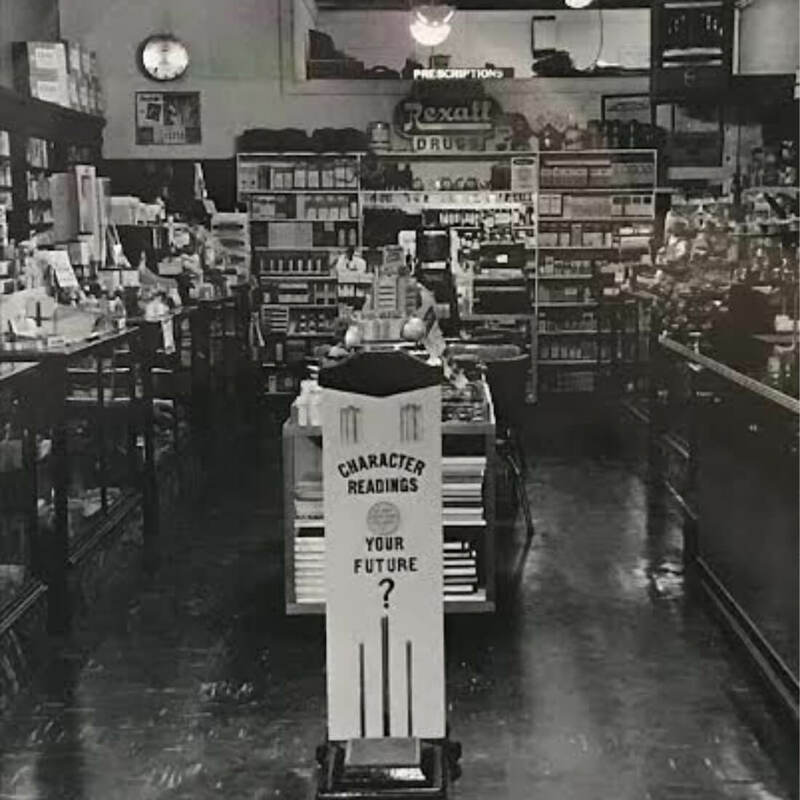 In 1929 the Durham Brothers Drugstore was described by the Marietta Journal as “outstanding due to its complete service rendered and its modern fixtures and appointments.” Registered pharmacists were on duty all the time so that they could fill prescriptions quickly. Then in 1943 the Durham brothers sold the business to George Lacey. George Lacey changed the name of Durham Drugs to Lacey Drugs during World War II. Pharmacies nationwide had become more than just drug stores and soda fountains. They became part department store, hospital, bookstore, candy shop, post office, and restaurants. This was a time of change for the community drug stores and many local pharmacies began to close as competition from chain pharmacies grew. But Lacey Drug Company survived by staying true to its core value: patients first. George Lacey’s fundamental principle of success was to take care of his customers and patients as if they were family. We hold onto this fundamental principle to this day. Lacey’s was remodeled in the 1950’s and had an air conditioner installed. We also started offering delivery service to our customers. By the early 1960’s the soda fountain was no longer the local hangout. The soda fountain was removed. George Lacey’s health was in decline and he was looking to sell the store. In 1965, Larry Braden, the current owner of Lacey’s, began practicing pharmacy with George Lacey, along with a pharmacist named Ray Dalrymple. By 1968 Braden and Dalrymple bought out George Lacey. George Lacey’s descendants. Back row:Maggie Edwards,Abby Edwards, Cary Lacey Edwards, Megan Edwards and Adam Edwards Front Row: Kate Edwards, Betty Lacey Edwards in the middle and Molly Edwards. 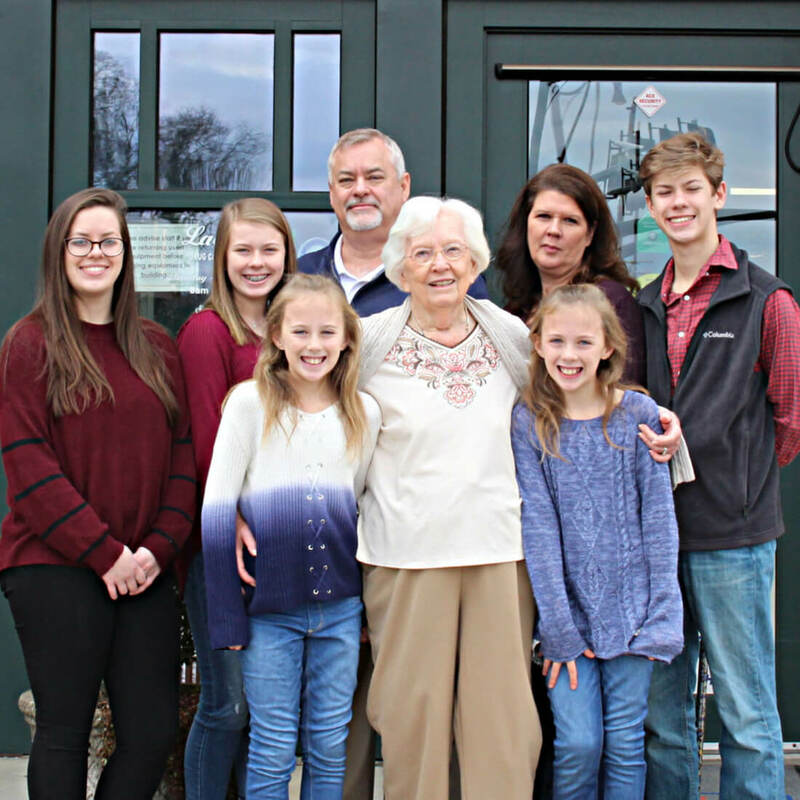 Around 1970, Ray Dalrymple left the business and Ben Flanagan, another pharmacist from Acworth, became the junior partner of Lacey Drug Company. The company decided to move away from the traditional merchandise mix and established itself as the health care center for the surrounding North Georgia area. The business moved to its current location in the early 1970s, which doubled the size of the store and provided much needed parking. Braden practiced pharmacy until 1978 when he became the Executive Vice President of the Georgia Pharmacy Association, a position he held until 1997. During this time, Flanagan and another pharmacist and partner, Meryl Cook, ran day – to – day operation of the pharmacy. Lacey Drug Company has expanded into four stores that focus on general pharmacy, long term care, compounding, and home medical supplies. Lacey’s hasn’t wavered from its core mission – to take care of the patients and customers first with focused and individualized service.